He was a bit curmudgeonly, the Rev. Francis Ellingwood Abbot – a trait that kept him in hot water no matter where he went or what he did. Take for example his first parish ministry gig, when he not only raised the ire of many in his own congregation and denomination, but also that of the highest court in the state of New Hampshire. The issue? His theological fitness for a pulpit in that state. Deemed insufficiently Christian for a minister, he was branded a runaway rationalist on par with those scoundrels Paine and Jefferson. The court found its damning evidence in Abbot’s sermons, setting on two excerpts to make its case – the first denying Jesus’ exceptionalism and the second, biblical authority and Israel as the only Holy Land. Abbot was in effect taking Jesus off the sacrificial cross, redefining scripture as broader than any book and expanding the notion of sacred ground to any place where the human soul yearns. "If Protestantism would include Mr. Abbot in this case," New Hampshire's highest court concluded, “it would of course include Thomas Jefferson, and by the same rule also Thomas Paine, whom Gov. Plumer of New Hampshire called "that outrageous blasphemer," that "infamous blasphemer," "that miscreant Paine," whose "Age of Reason" Plumer had read "with unqualified disapprobation of its tone and temper, its coarse vulgarity, and its unfair appeals to the passions and prejudices of his readers." Abbot was devastated at the ruling. He had been defrocked and shunned, banned from his very calling. He would go on to co-found the Free Religious Association (a prolific group of non-theistic Unitarian churches and ministers) pen several books and edit an influential humanist newspaper, the Index; but the Court’s decision had forever changed the course of his career and life. Despite his many efforts, Abbot made little money over the course of his work life, resulting in a state of chronic poverty for his entire family. Abbot’s later years were no kinder: He died in 1903 having taken a fatal dose of sleeping pills. His body was found stretched out on the grave of his beloved wife. This is a sermon on humanism within the liberal religious tradition – one of three specific to our denomination. What I’m about this morning is a whirlwind primer in Unitarian Universalist Humanism. Part One will identify the many kinds of humanism within the greater narrative of humanist thought and action. Part Two is my take on how that narrative found its way into our ranks. And Part Three is a short case for how the UU humanist tradition morphing into a more holistic framing of religious experience – one that is essential in a postmodernist age. The fact that we exist at all is astonishing. We’re bits of stuff driven by the same push/pull material causality that works the...universe, yet we are configured with such complexity that we can think...This improbable predicament of matter has come about through the working of...evolution – what survives, survives. And all this has happened on a tiny speck of rock revolving around an ordinary star in what Douglas Adams called the unfashionable end of the Milky Way, a colossal galaxy that is just one of billions. Historians of rationalist thought suggest seven distinct but interwoven strands within Western humanism, all of them grounded in a single bedrock assumption: human beings hold their fate – with all the freedom and responsibilities that entails – in their own hands. Thinking about the other two sermons in this series, just as the life of Jesus is the primary paradigm of the UU Christian; and meaning beyond the sensory world is the primary paradigm for the UU mystic; the UU humanist begins the quest for truth with what can be observed and measured. Keep this guiding principle in mind as we track seven distinct schools of Western humanism: Renaissance; Christian; Classical; Cultural; Humanistic Psychology; Religious and; Secular. Humanism in the West is most often traced to the Renaissance Period, covering roughly the 14th through 17th centuries. It began as an approach to education – what we now call the humanities: language; politics; the arts and; philosophy. Consequently, the not-so-modest goal of Renaissance humanism was to transform the world through ideas and education. Renaissance humanism spun off two new schools of thought: Christian humanism and classical humanism. As to classical humanism, John Weston describes it as “...the academic program of Renaissance humanism as it continues in politics and the arts long after the Renaissance had ended...For classical humanists, the cultures of Greece and Rome were twin high points that have never been equaled.” He adds that many colonial-era American politicians saw themselves as cast in the mold of Roman senators. For them, the end for classical humanism was to produce philosopher-leaders. Over time the humanist thinking of the elite became more accessible to those once considered the “uncultured” masses, mostly by way of the university. This, then is the fourth thread of humanism, often called cultural. It was a more populist brand of humanism, appealing to mostly European societies in which education was fast becoming a democratic right. Cultural humanism paved the way for a later, more intrapersonal humanism: humanistic psychology. Developed in the mid-20th century, humanistic psychology ran counter to Freud’s psychoanalysis and Skinner’s behaviorism. It broke ranks with those models by allowing for wider individual differences and experiences. John Weston notes that humanistic psychology combined the “...interdisciplinary work of depth theology and psychology [of] Maslow, Rogers, Tillich, Jung and May.” It’s the last two forms of humanism that most resonate in modern liberal religion: religious and secular. Both began by rejecting supernatural claims in favor of science; but whereas religious humanism wanted to engage and transform religion, secular humanism found little or nothing there worth salvaging. In other words, while the religious humanist seeks to reboot orthodox theology, the secularist considers religion irrelevant if not harmful. This is dense stuff, full of nuance but worth all the sifting through in order to appreciate how the broader humanist story has informed Unitarian Universalist thought and practice. Let’s turn now to the relationship between these seven threads and the tapestry we call Unitarian Universalist humanism. There’s plenty of room for disagreement, but I submit it was the Transcendentalists who laid the political blueprint for how to make lasting change in our denomination. A century prior to the humanist shift in paradigms, Margaret Fuller, Emerson, Thoreau and the rest declared Unitarianism stagnated, even “corpse cold.” Most left institutional Unitarianism, but not before spearheading what they called intuitive religion – a philosophy based on individualism and humanity’s place in nature. Just a decade or so into its existence, the American Unitarian Association was experiencing its most serious internal squabble to date. As one historian put it, the tussle between rational Christianity and Transcendentalism was a “rope pull over the nature of God and the god of nature. The Transcendentalist Controversy was by no means the first schism on either side of our blended family; but consciously or unconsciously it became a prototype for grassroots organizing against a dominant denominational theology. Move ahead now to the post-Civil War humanism of Francis Ellingwood Abbot and the dissention that gave rise to what became known as the Western Issue. The Western Issue was the term for the growing rift between the established, more Christian-centered face of the movement and a wave of radicals that were neither Christians nor mystics on the order of the Transcendentalists. They advocated for a non-theist “Free Religion”. These predominantly Upper Midwestern clergy rejected supernaturalism, statements of faith (Unitarian or otherwise), biblical authority and denominational pressure to dial back their efforts. By the late 1860s a number of them declared their independence from Unitarian orthodoxy and joined Ellingwood in creating the Free Religious Association (FRA). While the FRA would eventually be reconciled to the denomination, its call to replace theology with reason and faith with science resonated with many a Unitarian. By the early 1930s – and in the aftermath of the First World and Scopes Monkey Trial – humanism had become the wedge issue within Unitarianism. Championed by mostly secular humanist Unitarian ministers like John Dietrich and Curtis Reese, humanism moved from our stage to the international stage in 1933 in the form of A Humanist Manifesto. The Manifesto included the signatures of a number of Unitarian ministers, putting forth a religious humanism that was revolutionary in both scope and content. Short and direct, it contained 15 “theses”. Among other things, the Manifesto asserted that the universe is self-existing, not created; human beings emerged from and remain a part of an evolutionary process; culture and society are products of human interaction with their natural environment and; while not denying the possibility of realities not yet discovered, at present science voids any appeals to a supernatural deity. Within four years of the publication of A Humanist Manifesto the American Unitarian Association elected Frederick May Eliot as president. While Eliot was himself a liberal theist, he recognized the value of religious humanism and at points promoted it. Less than a decade later another world war challenged liberal theology to account for mass evil. In response, humanism offered a grim indictment: No vengeful God was to blame; we did it to ourselves. By the time the Universalists merged with them in 1961, Unitarians overwhelmingly identified as humanists in some form. The revolutionary model used by Emerson and Fuller had yielded yet another sea change, albeit in ways they likely wouldn’t much appreciate. Rare indeed is the revolution that does not turn inward and become the new orthodoxy. Once in place as norm not exception, religious humanism was for the next 50 years left relatively unchallenged as the unofficial face of the movement. In retrospect, much Unitarian, Universalist and after merger Unitarian Universalist humanism became reactionary – better at articulating what it denied than what it affirmed. Scores of surveys, sermons and writings from those decades indicate nearly universal disdain toward God-talk or any theological realities beyond the reach of the scientific method, including the of God of its own progressive Christians. A quick anecdotal detour in the service of Muir’s point: When I entered the movement in 1985, I encountered many longtime humanist UUs – some my colleagues – who were anxious over a new, unnamed and often unwelcome theological shift. Their adult children, come of age in our religious education programs, were staying away in droves, finding the congregations in which they were raised emotionally sterile and theologically one-dimensional. Our congregations were decreasing in numbers and vitality, in large part because Generation X was registering an unofficial but clear indifference to how the denomination understood itself and mission. But beginning in 1985 and continuing under the leadership of three consecutive presidents of our Association, the response to Gen X’s disaffection was to identify what we did rather than didn’t affirm. 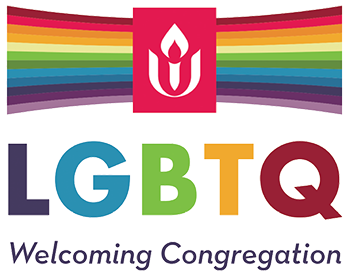 Bringing all this into the present, Unitarian Universalist humanism is undergoing another shift – one in large part brought on by the changing of the guard as Generations X and Y come of age and take the denominational reins. [That view is that] reason, which is trustworthy, is separate from the emotions, which are suspect. Society progresses to the extent that reason can suppress the passions. This has created a distortion in our culture. We emphasize things that are rational and conscious [yet] are inarticulate about the processes down below. We are really good at talking about material things but bad at talking about emotion. Yet while we are trapped within this amputated view of human nature, a richer and deeper view is coming back into view. It is being brought to us by researchers across an array of diverse fields: neuroscience, psychology, sociology, behavioral economics and so on. This growing, dispersed body of research reminds us of a few key insights. First, the unconscious parts of the mind are most of the mind, where many of the most impressive feats of thinking take place. Second, emotion is not opposed to reason; our emotions assign value to things and are the basis of reason. Finally, we are not individuals who form relationships. We are social animals, deeply interpenetrated with one another, who emerge out of relationships. While not intended for Unitarian Universalism alone, Brooks speaks for the latest crop of UU humanists as they put forth this combination of head and heart, displaying an overall boredom with materialist-only models: Whereas their humanist forebears wrangled over reason versus faith and elevated political liberalism to a de facto moray, research on millenials paints the picture of a generation less concerned with labels and Boomer-and-up-friendly institutions. To be sure, the new humanists remain engaged with the great questions of the day; but their answers are often shaped by the meta-belief that truth is found not only in a local and real time community, but in an ever-advancing technological, global, multicultural experience many of their grandparents and parents are yet to appreciate. Let me wind down by saying Unitarian Universalist humanism, in order to remain relevant and credible, must be as conversant with its times as the Free Religion pioneers. It’s clear that humanism is, like the denomination, undergoing major change – perhaps full-out transformation. As this change continues, humanists from earlier eras will be glad to know that the religion of Reese and Dietrich remains intact; that what they called the three Rs – reason, rationality and responsibility – still guide humanist thinking and action. Our younger humanist sisters and brothers share our awe and passion for a naturally-derived, majestic, mind-blowing cosmos. They share our belief that reason and science are important but not exclusively worthy guides to spiritual maturity. So let me leave it at this: Humanist UU graybeards such as I may or may not chime in with everything the young bloods are trying to tell us; but no matter our queasiness, it’s our time to be the tribal elders, telling the story of a rich tradition designed to evolve with the times, yet hold fast to the humanist gospel of “truth passed through the fire of life”. What a joy to be alive as yet another generation begins to make its own mark on Unitarian Universalist-style humanism. From what I’ve seen so far, we – humanist and non – have much to learn from them. And celebrate!